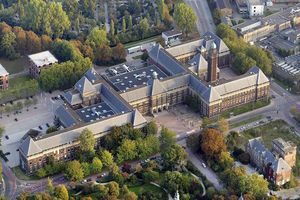 Both nationally and internationally, TU Delft's Faculty of Architecture and the Built Environment holds a leading position in its field. Not only does the faculty offer trendsetting Bachelor's, Master's and Post-master's programmes in the field of architecture, but also in related disciplines including landscape architecture, housing, building physics, and climate design and sustainability. Within the faculty students can choose from a number of minors and participate in an exchange programme.